Police have released two wanted flyers with surveillance photos of suspects wanted in two separate robberies that took place along Bainbridge Avenue, in the Norwood section of the borough. The incidents were reported within nine-hours of each other. 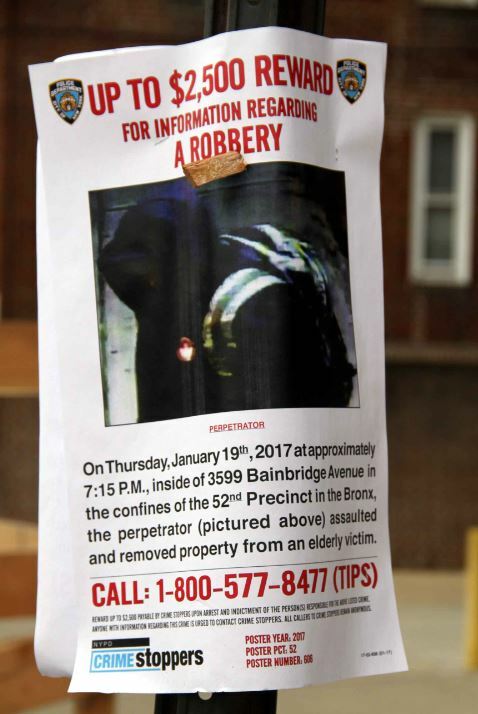 Offering few details, officials from the NYPD say a 79 year-old man was assaulted at 7:15 p.m. on Thursday, January 19, inside the hallway of 3599 Bainbridge Avenue at East 213 Street, across from the Woodlawn Cemetery. The suspect assaulted his victim, robbed him of $220 cash and a cellphone and fled the scene. At the time of the incident, officers were actively looking for a suspect being described as a black male, wearing a hoodie and carrying a grey back-pack. 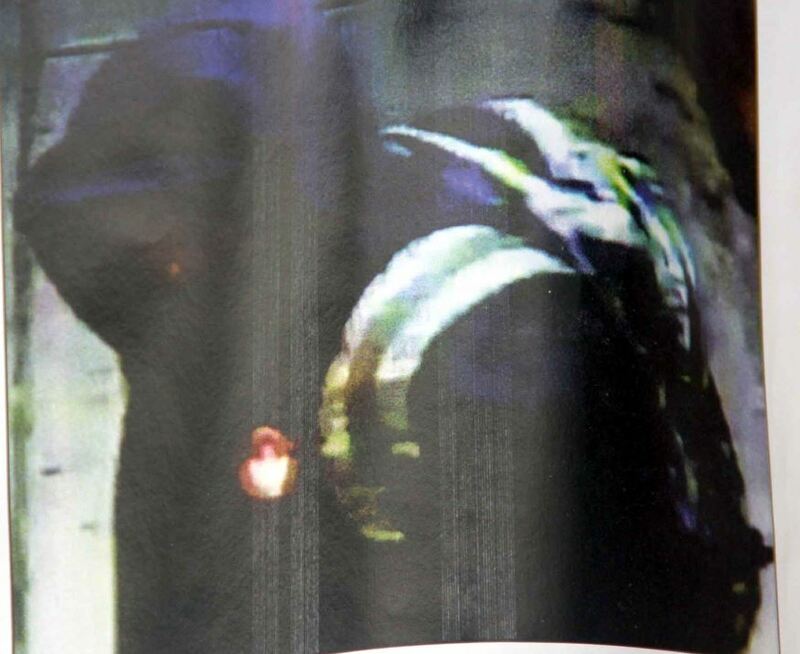 The hood makes it virtually impossible for identification, but detectives are hopeful the unique characteristics of the jacket or backpack that the individual is carrying, may produce an identification. A second flyer released by the NYPD reports a second “strong arm robbery” of a 19 year-old female robbed at the intersection of East 207 Street and Bainbridge Avenue. The incident was reported at 3:40 a.m. on Friday, January 20. Officials say the victim was punched in the face and robbed of her purse. The second suspect is clearly visible and appears to be a slim male black or Hispanic man in his 20’s, carrying a back-pack. The NYPD has so far declined to comment on if the two robberies could be related or apart of a larger pattern crime in the area. Police are still looking for the individual who robbed a 61 year-old man at gunpoint along Bainbridge Avenue and East 206 Street back on October 11. The gunman fled with $300 cash. No description of that suspect was available. Police also continue to search for the two bandits who robbed the Express Deli, located at 3226 Bainbridge Avenue, when two workers and a customer were held at gunpoint and robbed of $2,000 and their cellphones. The pair was described as two black males, wearing hooded jackets and black pants. Anyone with any information on any of these incidents are asked to call Crime Stopper’s at 1 (800) 577-TIPS, all calls remain confidential.